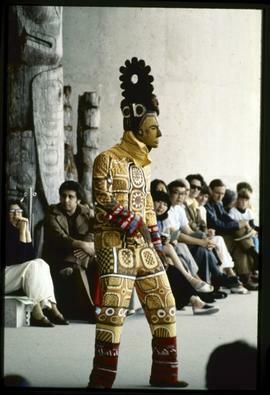 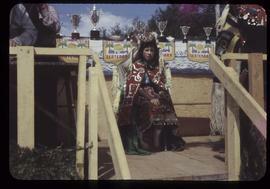 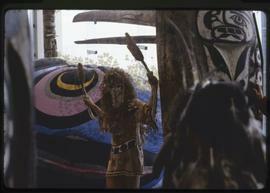 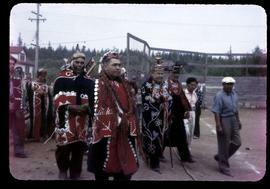 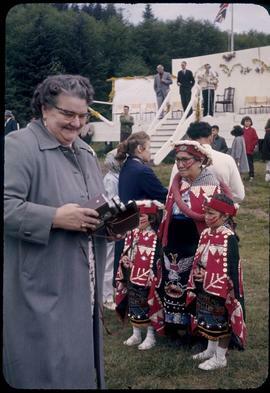 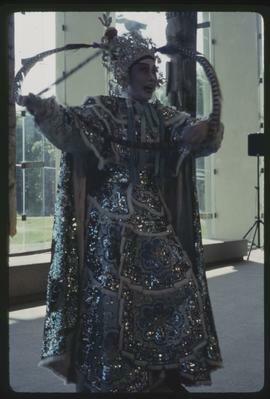 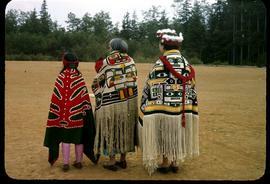 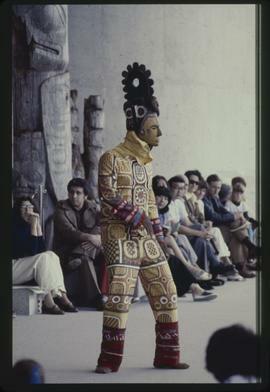 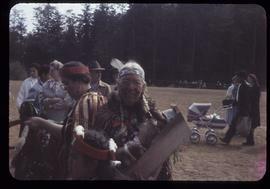 Photograph of a a man and woman ceremonial dress, and others in everyday clothing, gathered in a field. 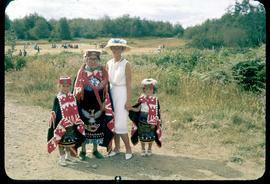 Photograph of a group in ceremonial dress in a field. 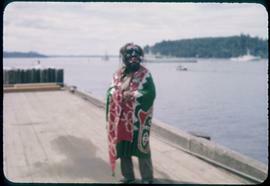 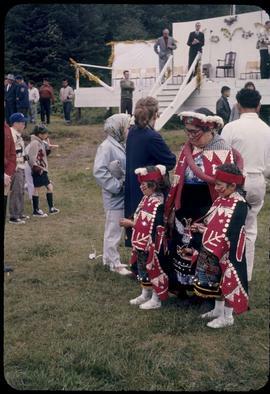 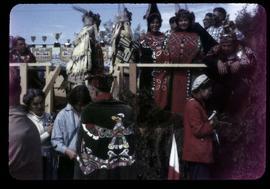 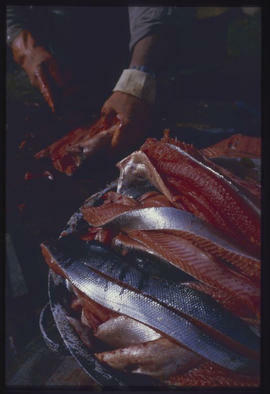 Based on details in similar images in this file, it is possible that they are gathered for an event celebrating British Columbia's centenary in 1958. 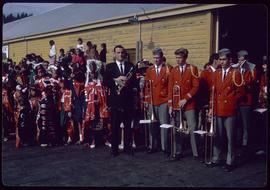 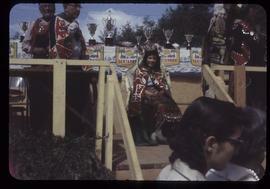 Photograph of a group of children in ceremonial dress and a brass band in uniform, possibly preparing for a parade. 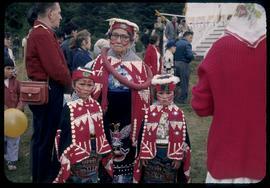 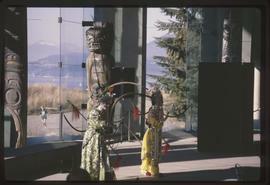 They are standing outside, in Alert Bay, BC.